Great. Now, I’ll bet one of two things just happened. One, an image of a pink elephant popped into your mind. Two, you saw the image of a pink elephant and you quickly made it disappear. 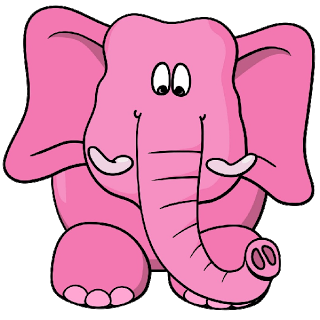 What do pink elephants have to do with your thoughts and improving your life? Stick with me here because I want to share something so profoundly important, that it can change your life. While your subconscious mind will always do what you want – without question – it can’t process the word DON’T. In fact, it ignores the word DON’T. All of the time. When you say to yourself, “Don’t imagine a pink elephant,” your subconscious mind will delete the word ‘DON’T”, and hear your request as “Imagine a pink elephant.” The result is that you’ll always see the image of a pink elephant first. The word DON’T will cause you to do and feel what you don’t want. If you say to yourself “I don’t want to be nervous during my presentation,” your mind translates that as “want to be nervous during my presentation.” That image of being nervous is the first thing your subconscious mind sees. Guess what happens next? You end up being nervous during your presentation. The EXACT OPPOSITE of what you really want. When you say, “I DON’T want to worry today,” your subconscious mind hears “Want to worry today.” Then you’ll keep on worrying. When a dieter says, “I DON’T want to eat chocolate,” their subconscious mind hears “Want to eat chocolate.” What will that dieter think about all day? Chocolate. When you say, “I DON’T want to be anxious about money,” your inner mind hears “Want to be anxious about money,” causing you to continue to feel anxious about money. When a golfer says “I DON’T want to hit it into the hazard,” his subconscious mind hears“Want to hit it into the hazard.” Guess where that ball ends up? Right into the hazard. When mum says “DON’T forget to put those toys away, her child hears “Forget to put those toys away,” and those toys don’t get put away. What’s one thought that you have often that will benefit from eliminating the word DON’T? Want to know more about managing your internal monologue and increasing your mental toughness? Send me an email at michelle@bakjacconsulting.com to enquire about training and coaching.. Newer PostAre You Treating Workplace Wellbeing Like A Marathon Or A Sprint? Older PostHow is Job Strain Linked To Mental Health?